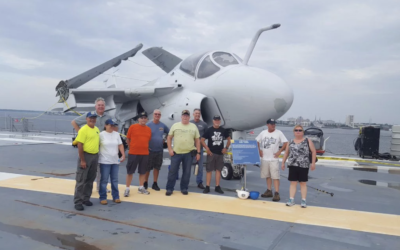 THE OBJECTIVE OF THE FLIGHT DECK VETERANS GROUP IS TO PROMOTE CAMARADERIE BETWEEN VETERANS OF US MILITARY FLIGHT DECK SERVICE. YOU EARNED IT! WE ARE VETERANS SERVING VETERANS AND INVITE YOU TO JOIN THE LARGEST, MOST ACTIVE FLIGHT DECK VETERANS GROUP. Visit the ships store for your official FDVG gear. YOU EARNED IT. JOIN NOW! FDVG/Carolinas Chapter to restore the A6 Intruder! 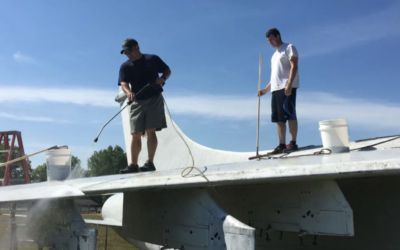 Restoration work on the US Navy A7E Corsair II on display at Edwardsville Township Community Park has begun, Edwardsville Township Supervisor Frank Miles says. 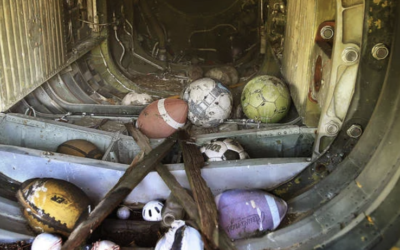 The Frisbee was among the things found in the tailpipe of the A-7E Corsair that sits on a pedestal in the Edwardsville Township Airplane Community Park.